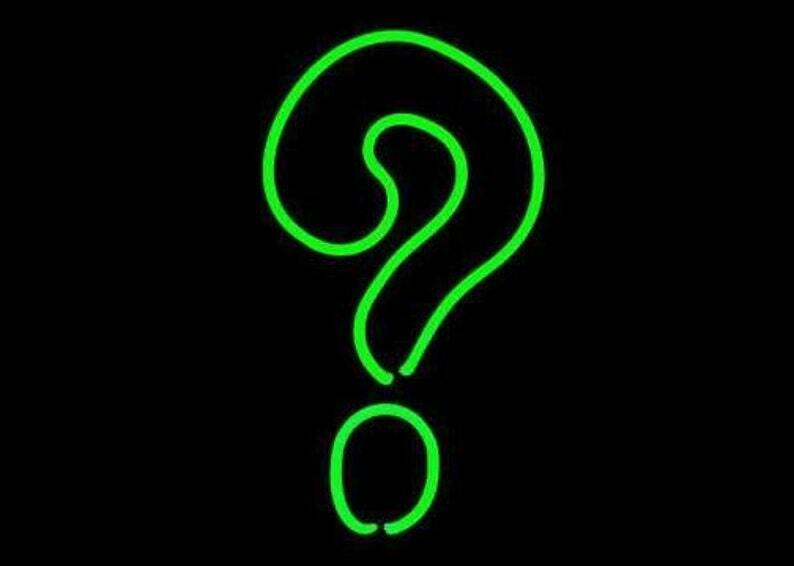 Question Mark Real Neon Art Tabletop Freestanding Sculpture FREE SHIPPING!! Keep 'em guessing with this Emerald Green Question Mark. The neon tube sits atop black resin base. This is my design, and I hand fabricate this piece myself here in Southern Arizona. I take great care in packaging my neon for shipping, and it is insured. In the unlikely event that it gets broken in transit, I will send you a new piece, and start a claim with the shipper. Neon tubes last a very long time, and I warranty my neon against burnout for 5 years (excludes breakage). Please contact me personally through Etsy or call 520-409-2090 with any questions or comments regarding this sculpture. Sailfish Real Neon Art Tabletop Naval Aquatic Fish Freestanding Sculpture FREE SHIPPING! Coffee Time 'Hot Java' Real Neon Art Tabletop Freestanding Sculpture FREE SHIPPING!!! Native American Deer Symbol Real Neon Art Tabletop Freestanding Sculpture FREE SHIPPING! Electric Guitar Real Neon Art Tabletop Freestanding Sculpture Sign Lamp FREE SHIPPING!!! 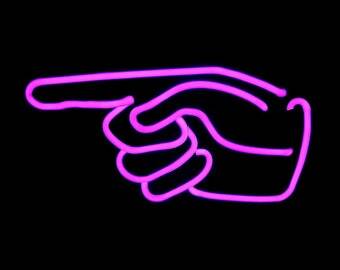 Pointing Hand Real Neon Art Tabletop Freestanding Fingers Sculpture FREE SHIPPING! Snowboarder Real Neon Art Tabletop Freestanding Sculpture Sign Lamp FREE SHIPPING!!! Man in the Moon Real Neon Art Tabletop Freestanding Light Lamp Sculpture FREE SHIPPING! Blue Eagle Real Neon Art Tabletop Freestanding Sculpture Bird Aviary FREE SHIPPING! Benny the Beak - Parrot Real Neon Art Tabletop Freestanding Sculpture FREE SHIPPING!!! Art Deco Face Real Neon Art Tabletop Freestanding Sculpture Sign Lamp FREE SHIPPING!! !